John W. Bosley Hair Transplant Patient. Individual results may vary. 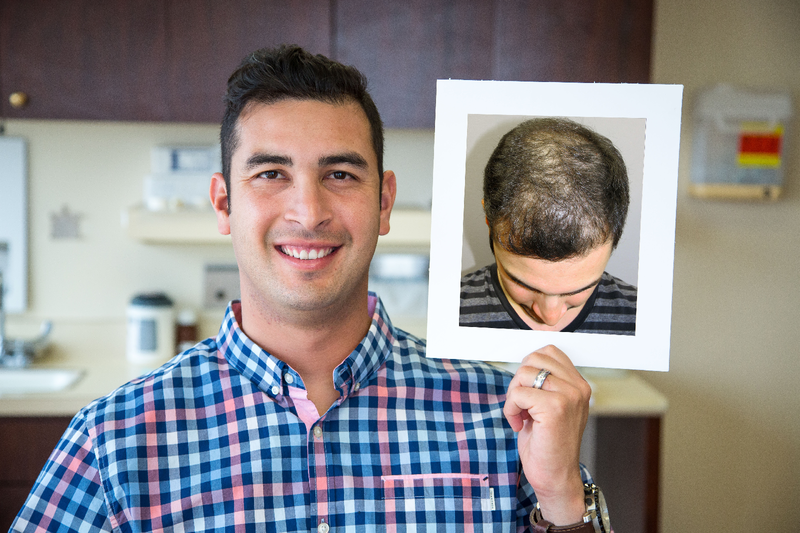 Bosley's TriGen+ with PRP is a non-surgical treatment for hair loss that combines the advanced hair restoration potential of platelet-rich plasma (PRP) therapy with the proven power of low-level laser therapy and Bosley Professional Strength® products. Under the direction of an experienced Bosley physician, these three treatments combine to create one powerful solution so you can take control of your hair health. We know hair restoration surgery isn’t for everyone. Our TriGen+ with PRP solution is designed for men and women who aren't ready, or who aren't good candidates, for surgical hair restoration. It can also be used as a way for patients who've had a hair transplantation to accelerate healthy hair growth. Schedule a consultation to customize your TriGen+ with PRP treatment plan. Josh G. Bosley TriGen+ w/ PRP patient. Individual results may vary. By submitting this form, I authorize Bosley to contact me by phone at the number provided above, including mobile phone, email or mail and using automatic dialing equipment. Otherwise, call us at (800) 499-5049 to request your FREE information kit and/or to schedule your FREE consultation and hair analysis.